Admire ancient city, Ephesus, House of Virgin Mary, Pamukkale and Hierapolis. 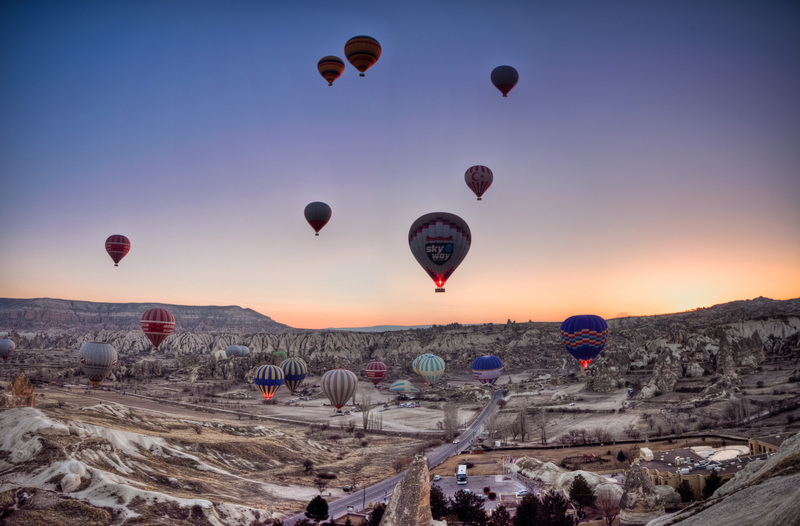 Explore the hotspots of Cappadocia, such as Devrent imagination vale (a lunar landscape), Pasabaglar (Fairy chimneys), Avanos(pottery demonstration with the Hittite tecnique), the Pigeon valley (in a cave restaurant – open buffet), Uchisar rock-castle, Esentepe(panoramic view of Goreme valley) and Goreme open air museum (rock cut churches, frescos, monastery). After breakfast at 09.30 we start for tour to Derinkuyu underground city, Ihlara canyon (4 km trek), Belisirma village, Belisirma Village, Selime (Panoramic view point) and Nar Lake. When our tour finishes we transfer to airport for flight to Istanbul (B,L).